That is the assertion of a paper in Nature by Carolyn W. Snyder (Snyder, 2016) based on an analysis of the correlation between atmospheric CO2 concentrations and changes in the global average surface temperature (GAST) over the past 800,000 years. Actually the assertion is that the 95% “credible interval” is 7 to 13 degrees Celsius (12.6 to 23 degrees Fahrenheit) Yikes! Even the current scientific consensus value of something on the order of 3 C (5.4 F) (Collins et al., 2013) is frightening when you consider that the difference in the GAST between the last glacial maximum about 20,000 years ago and at present wasn’t much different than that. The paper itself is important in that it reports a serious reconstruction of the GAST for the past 2 million years, and shows how closely it has been correlated with atmospheric CO2 concentrations over the 800,000 years for which we have incontrovertible data from Antarctic ice cores. It is also nicely correlated with Antarctic temperatures from that period. The problem with it, if there is one, is that it extrapolates from this correlation on the assumption that CO2 has been the driving force for the changes in GAST and that the relationship will continue to hold. This is in dispute. A response from Gavin Schmidt, Director of the NASA Goddard Institute for Space Studies in New York, and 11 other prominent climate scientists from around the world (Schmidt et al., 2017) sticks with the 2013 IPCC estimate of around 3 C. They forcefully point out that, although the correlation is real, the 100,000 year glacial—interglacial cycles of the past 800,000 years are driven not by CO2 concentration but by orbital forcing—how elliptical the Earth’s orbit is, where the Earth is along it during Northern Hemisphere mid-summer, and how much the Earth is tilted on its axis—all of which change continuously. And even though the GAST is influenced by CO2 levels, it is also influenced by the Earth’s reflectivity (altered by ice sheets, snow cover, vegetation), and many other things. 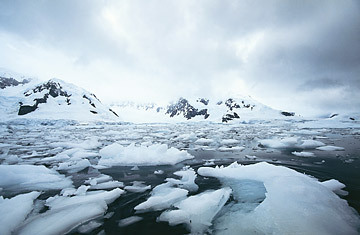 Their point is that, in the future, with what appears to be a continuous reduction in ice sheets and snow cover, and an increase in non-reflective vegetation, and all else that is happening to the surface of the Earth and its atmosphere, it is unrealistic to assume that the GAST—CO2 correlations of a heavily glaciated world will continue to apply. Carolyn Snyder, the author of the original paper, doesn’t particularly object (Snyder, 2017). She acknowledges that she was assuming that the relationship between CO2 and GAST during the past 800,000 years would carry on into the future, and that if the feedback system that controls the Earth’s temperature is dependent on the source of the initial trigger (she means orbital forcing) her correlations would not be valid in the future. Furthermore she acknowledges that under the warming Earth of today, the correlations might be different anyway. Her main contribution stands—an informed estimate of the global surface temperature for the past 2 million years. Collins, M., Knutti, R., Arblaster, J., Dufresne, J.-L., Fichefet, T., Friedlingstein, P., Gao, X., Gutowski, W., Johns, T., Krinner, G., 2013. Long-term climate change: projections, commitments and irreversibility. Schmidt, G.A., Severinghaus, J., Abe-Ouchi, A., Alley, R.B., Broecker, W., Brook, E., Etheridge, D., Kawamura, K., Keeling, R.F., Leinen, M., 2017. Overestimate of committed warming. Nature 547, E16. Snyder, C.W., 2016. Evolution of global temperature over the past two million years. Nature 538, 226-228. Snyder, C.W., 2017. Snyder replies. Nature 547, E17-E18. This entry was posted in Atmospheric CO2 levels, Atmospheric Forcing, Climate Models, Emil Morhardt, Global Temperatures and tagged climate sensitivity, GHG sensitivity, global climate models, Global Temperatures, Global Warning by Emil Morhardt. Bookmark the permalink.